This morning, my husband Bill had a business meeting at this iconic restaurant in Chicago, so of course I wanted to tell you all about it. I asked Bill to take a few photos, but most importantly, bring home some of those famous cinnamon rolls! 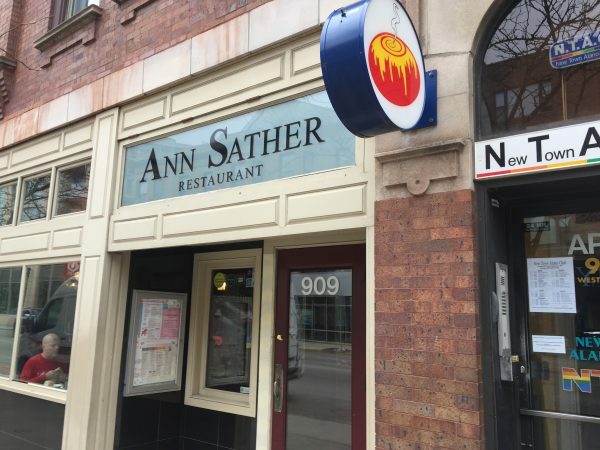 Ann Sather started her Swedish restaurant in 1945 when the owners of a restaurant on Belmont decided to retire. She quit her longtime job, gathered up her life savings, and bought the diner. Ann ran the diner for 35 years, and was devoted to her made-from-scratch food and her community, where she became a Chicago legend. Such a cozy, inviting environment! I spy some cinnamon rolls. They sell fast! 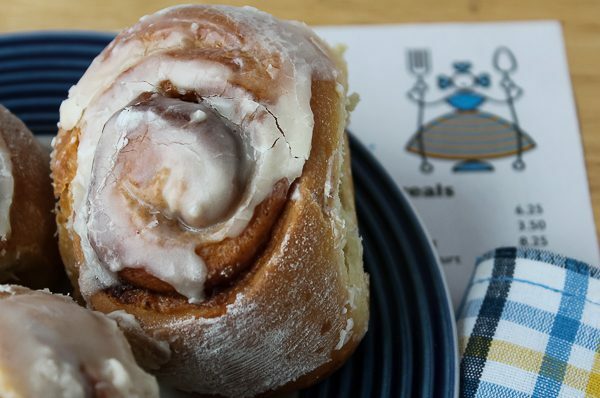 Cinnamon rolls may be on everyone’s mind at Ann Sather, but look at this great menu too! 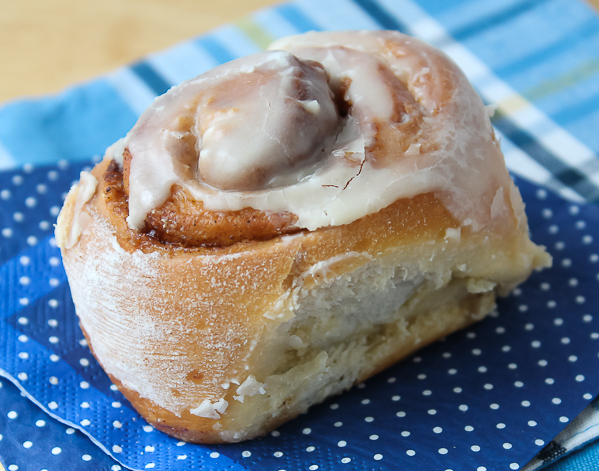 The cinnamon rolls are just the perfect size with the right amount of icing; not one of those huge ones literally smothered in a heavy icing and over 1,000 calories per roll. 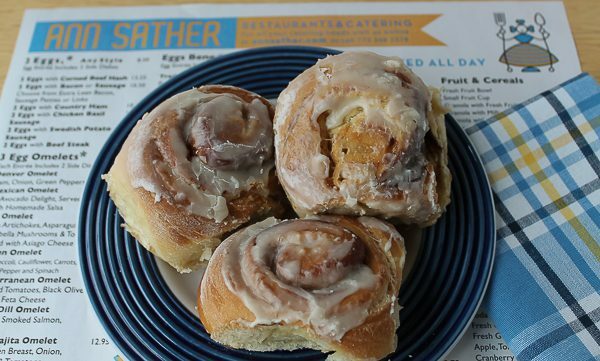 Sather’s is the perfect roll. In 1981, Ann began a search for her successor who would meet all her standards and remain completely devoted to her patrons. She found the perfect person in Tom Tonney, who was a recent graduate of the Cornell University School of Hotel and Restaurant Management. Tom worked with Ann for a year, studying and working in every aspect of the business. When Ann passed away in 1996, the restaurant was in good hands and remains that today. Ann’s philosophy of “Good food, good friends, and good conversation” lives on, as her portrait in the dining looks over her beloved establishment. 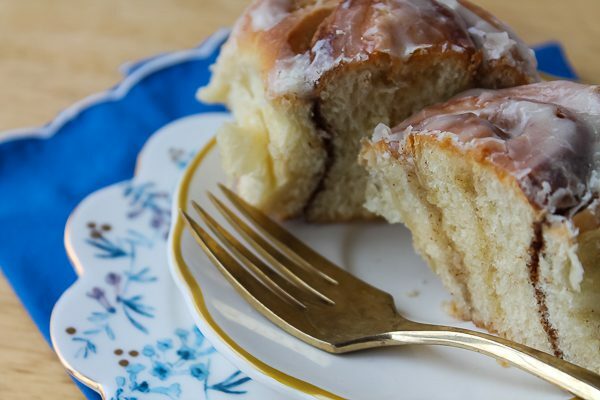 Be sure and go to the breakfast recipes section and you will find the cinnamon rolls, Swedish pancakes, and many more recipes from the menu. I do enjoy meeting girl friends for breakfast and this looks like just the place for us. Too bad it is so far away!!! 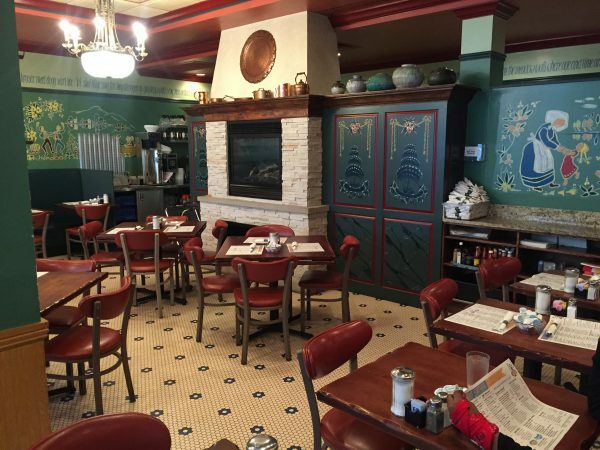 The menu, the friendly atmosphere and the decor are perfect! 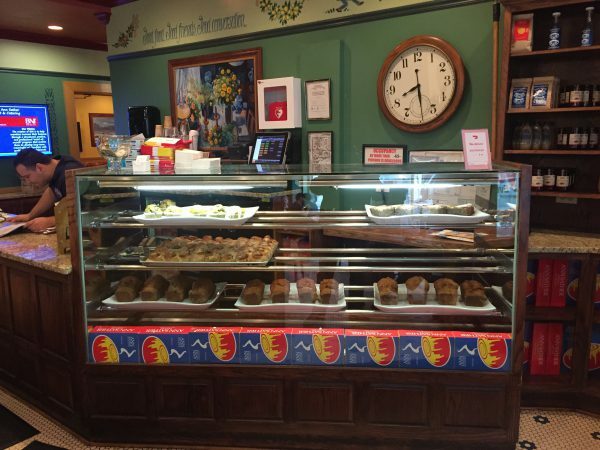 One of our favorite breakfast cafe`s in the Seattle area is a Greek Cafe` with its unique menu and decor. 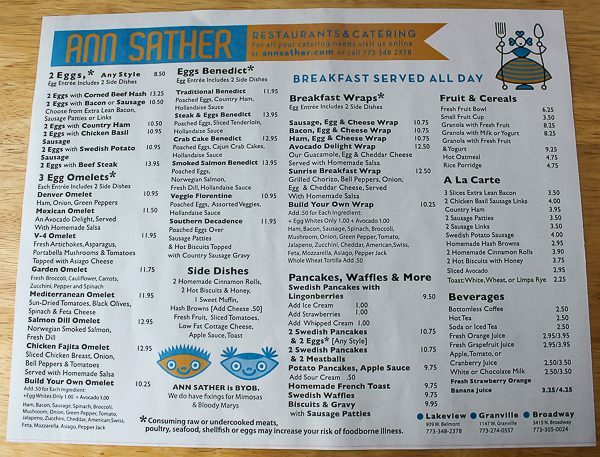 Our other favorite has a similar menu as Ann Sather’s but with the old fashion American Cafe` quaint and cozy decor. They are such delightful places to meet friends and enjoy some tasty made-from-scratch food. Wish I could meet you there for one of those cinnamon rolls or Eggs Benedict. Wish you could too, Kim! I agree with the Eggs Benedict; one of my favorites. I would probably go with the Smoked Salmon version, with Norwegian salmon and fresh dill. Yum!